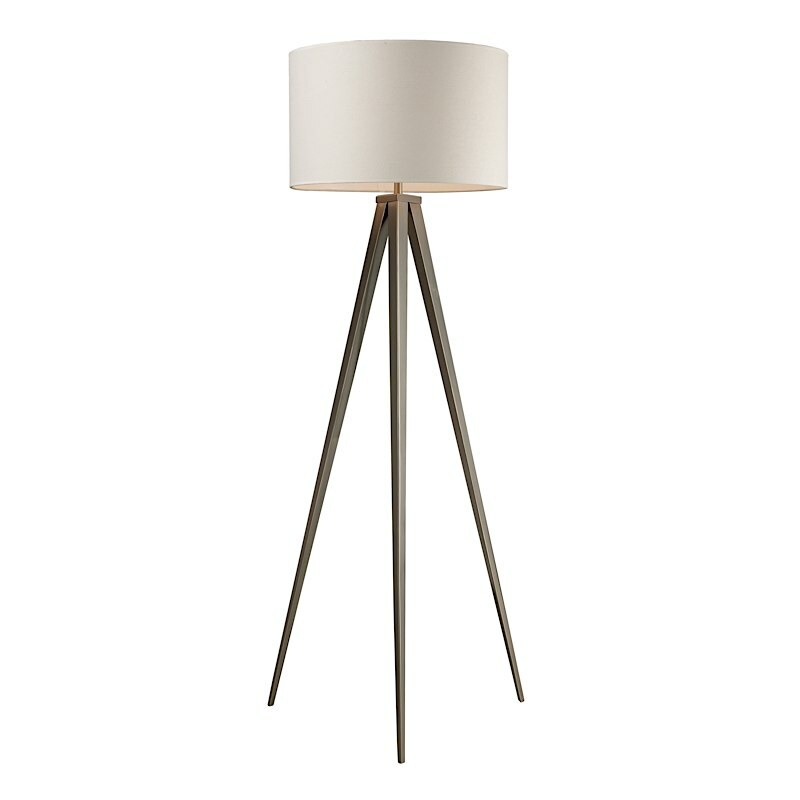 The tripod floor lamp is in the classic camera tripod shape which makes for a beautiful and stylish lamp. The lamp features a off white linen shade with a pure white fabric liner and a satin nickel finish. With a matching table lamp, the Salford collection could form the base of your style for a room. Uses (1) 150W medium base bulb. Because of the large size of this lamp, it must ship as freight. A shipping fee applies to this item.